Macon has a humid subtropical climate. The city has an average annual precipitation of 45 inches. The city has been known to see snow on occasion in the winter. The average total annual snowfall is .9 inch. Even though the residents of Macon may enjoy having a bit of all seasons, the precipitation that comes with it can be hard on your business’ foundation. When there is excess water built up around the foundation of your building or if the soil around the foundation is not compacted completely, then pressure will build up. 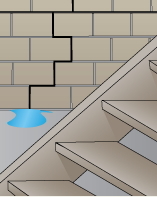 This pressure is infamous for causing the leaning or bowing of walls, foundation cracks, or even foundation leaks. All of which harm the value of your Macon, GA business, and put your company at risk. 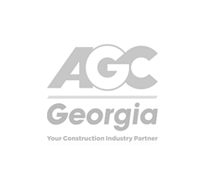 We can help you with all of these issues with our professional commercial foundation repair Macon Georgia team at Atlas Piers of Atlanta. Wall cracks, either vertical or horizontal. Any of these problems,though some may seem small and unimportant, point to a need for foundation repair in your Macon, Georgia business or residence. Instead of trying to fix these problems by yourself and making the problem more serious, contact Atlas Piers of Atlanta to remedy these troubles at their source. The most common solution for the majority of the foundation problems we encounter is helical underpinning. Helical piers help your foundation be more stable despite the shifting soil that surrounds it. Homes and businesses built in Macon commonly rest on uneven, unstable soil, and helical piers are inserted to help your foundation be strong and even. Helical tiebacks are also a common solution for leaning or bowing walls. These devices are anchored into the ground next to the wall and attached to the wall; they apply horizontal pressure opposite to the direction of the lean to straighten the wall. pressure grouting. 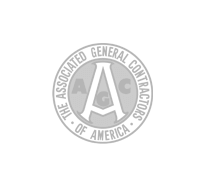 Pressure grouting is a method that is used to fill voids that may have developed under your foundation. In this simple process, a grout is injected under the foundation, filling voids to lift and stabilize the foundation. carbon fiber repairs Carbon fiber strips are another method that can be used to fix leaning or cracking foundation walls. These strips provide the wall with strength and stability, locking it in place and closing any cracks that may have formed. encapsulation. 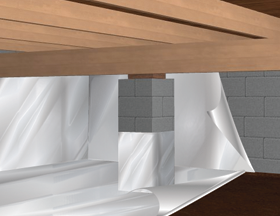 Atlas Piers offers wall encapsulation to prevent water from entering your basement or crawlspace. This is a waterproofing method that involves the installation of a vapor barrier along the walls of the crawlspace or basement. The barrier seals out moisture, not only leaving the area dry and mold-free, but also leaving the air in the entire home fresher and healthier. 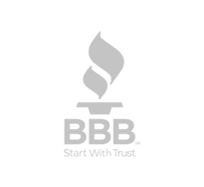 Give us a call, and Atlas will come review your business’ foundation. We install helical piers and resistance piers based on the outcome of the evaluation of your business. These are underpinning products that will support and lift your home, depending on what problem we find. We take pride in our commercial underpinning services. 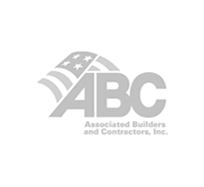 Call today to find the best course of action with your foundation problem. Don’t wait till it becomes foundation failure when we can help you with repairs of all sorts. Call today!